Brexit negotiations have already started but there have been no announcements. There are no economic reports in the UK to support GBP against the weak USD. The support rests at 1.29970 with resistance at 1.30270 which the weekly pivot point at 1.30170 is located in between the lines. 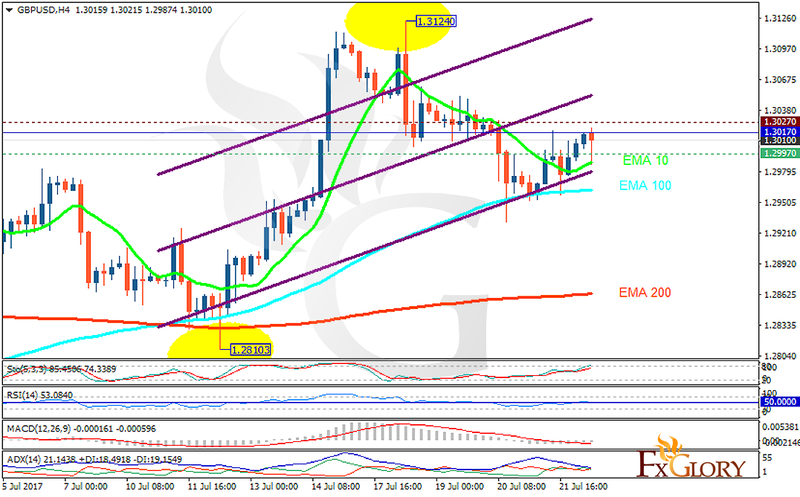 The EMA of 10 is moving with bullish bias but it is above the EMA of 200 and the EMA of 100. The RSI is moving horizontally on the 50 level, the Stochastic is moving in high ranges and MACD indicator is in neutral territory. The ADX is not showing any clear signals. The resistance level breakout will smooth the way for further growth targeting 1.3150 otherwise, it will drop towards 1.2950.